I've been a big proponent and supporter of Unai Emery, but even I can not go on and defend him anymore. Since the defeat from Sevilla at our home ground in the Mestalla and mostly fresh players who were rested against Stoke City it hit me that out team hasn't really improved over the 4 years Emery has been here. You can read my previous editorial on Unai Emery and find out in more about the details of the sporting and financial situation when he took over and what he's had to deal with to get a better understanding of the pros, but also cons of Emery's reign as Valencia CF coach. I've been a big supporter because when Emery took over the team was in shambles, barely avoiding relegation under Koeman and most of the veterans on the periphery of the team and bad vibe in the dressing room. I thought that would be it and Valencia CF would become a middle table team and thus a rein will end, but it didn't. 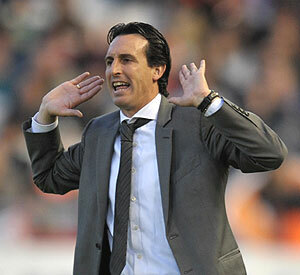 Unai Emery was appointed as coach in the 2008/09 season after successfully leading Almeria to promotion to the Primera League and then finishing 8th in his first year in the top division. After taking over the reigns at Valencia CF, he led the team to a bright start, with a tough middle term battle and a weak finish that put us into sixth position, instead of third or fourth. Still that was a success considering the situation Valencia CF was in, sporting and financially wise, with a bankrupt looming and players not even getting paid for few months. The next two years he would lead Valencia CF to two consecutive 3rd places finishes amidst loosing some of the best players like David Villa and David Silva and previously Albiol and later Baraja. What is not so obvious within this is that Villa was towards the end of his sublime form and he literally had one more year in him of the performances we've gotten to know and expect from him and Silva would need a whole year to step up his level and play at the level he is playing right now at Manchester City and with a bit of luck Valencia CF also had some players step up like Juan Mata and Ever Banega. Valencia CF also brought Jeremy Mathieu immediately strengthening the left back spot, something that was weak link in previous years. So while Emery has been loosing amazing players, he has also been getting new ones, in what one could attribute as luck or even a miracle if you wish and ultimately the team has kept the same level of talent and skill between the changes, what hasn't changed though is the level of play with any and all of the players that have played under Emery, almost always playing at the same level. The results against teams of equal or slightly less quality is defeating and our results against stronger teams like Barcelona and Real Madrid are even worse. Our play in European competitions is equally defeating with losses against Atletico Madrid in a year when we were realistically stronger, losses against Schalke 04 in a year where they were playing poorly and were in the bottom of the table, but even more defeating are the results in the Spanish cup Copa Del Rey where every time we've faced a little bit of opposition, we've come crumbling down and loosing. This year I see the same things happening, that has been happening in the past 4 years. Very strong start to the season with few to several unbeaten runs, then loose to a tough opponent, but continue with the momentum even challenging for first place, slowly going out of steam until we hit the winter vacation. Then we start in a slow fashion just as we've finished and sort of frantically adding wet steam to the machine hoping it gets dry fast enough and the machine starts picking steam up and towards the end we have a small push where we gain few places, only for the end to be on a downward spiral, but ultimately finishing strong because we've had weak competition. So to me it seems that while Unai Emery deserves huge credit and respect for what he's done, the combination of circumstances has allowed him and our team to perform better than it otherwise would and with non existent success in all the other competitions other than La Liga which realistically we can't win, leads me to believe that our team has been performing above the level because of weak competition in Spain and the financial crisis that has engulfed all Spanish teams, but the Spain economy as well. I think Valencia CF should part ways with Unai Emery this coming summer with both coach and club head held high knowing its on a good line. 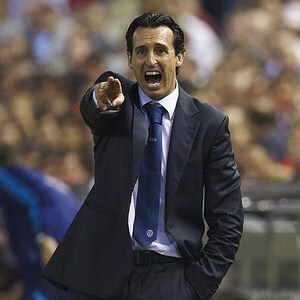 That said Valencia president Manuel Llorente should only bring in a coach that can improve and build upon Emery's reign and not start over, destroying everything that has been build and achieved over the past 4 years. We need a coach that can sort of take the pieces which are in place already and give them that final polish to be able to reach the next level. The new coach must also be more experienced and must be proven that he can win and manage a winning team.